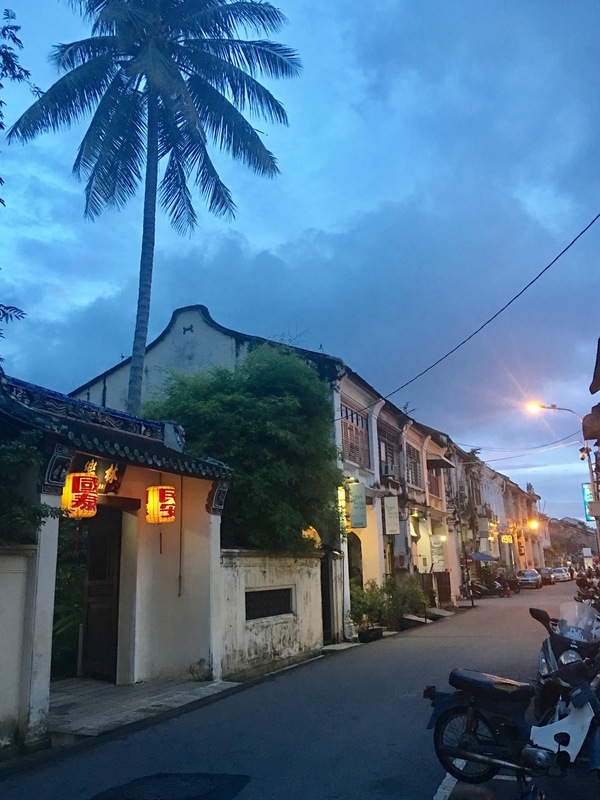 I’ve walked through Love Lane in Georgetown , Penang many times – usually in the daytime or late at night. 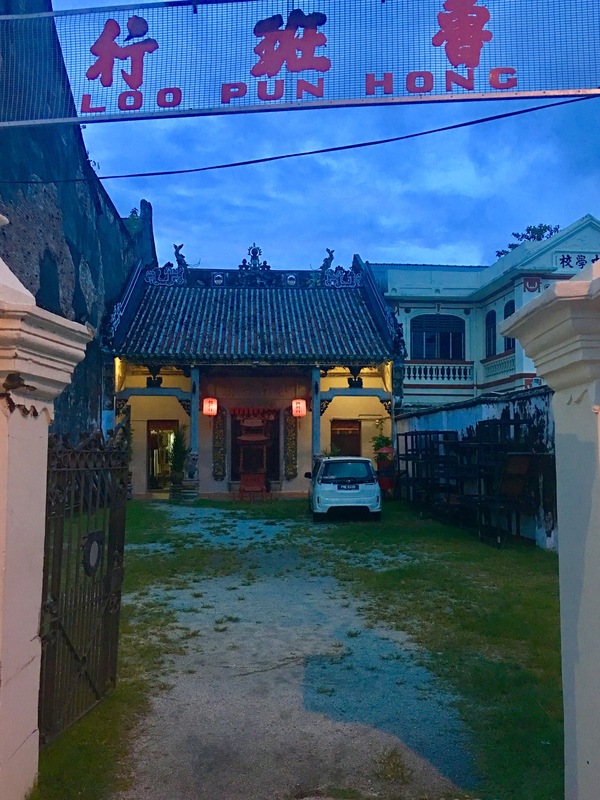 But a wrong turn and evening walk through Love Lane yesterday made me see it literally in a different light. It is true what they say about how different the rich hues of dusk and dawn can make a difference in photography. 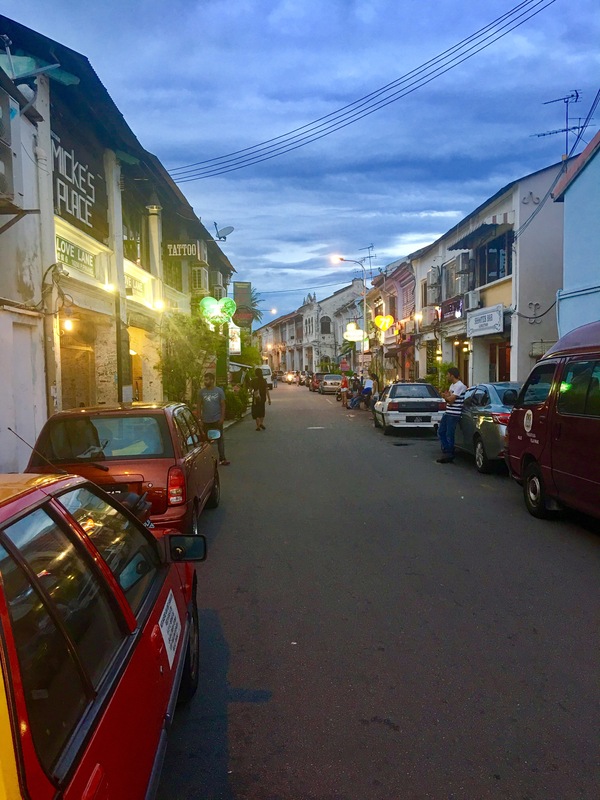 Love Lane which is now a back-packers haunt in Georgetown somehow oozes with a sort of mysterious old world aura and charm, despite the trendy pubs, bars and restaurants along it. 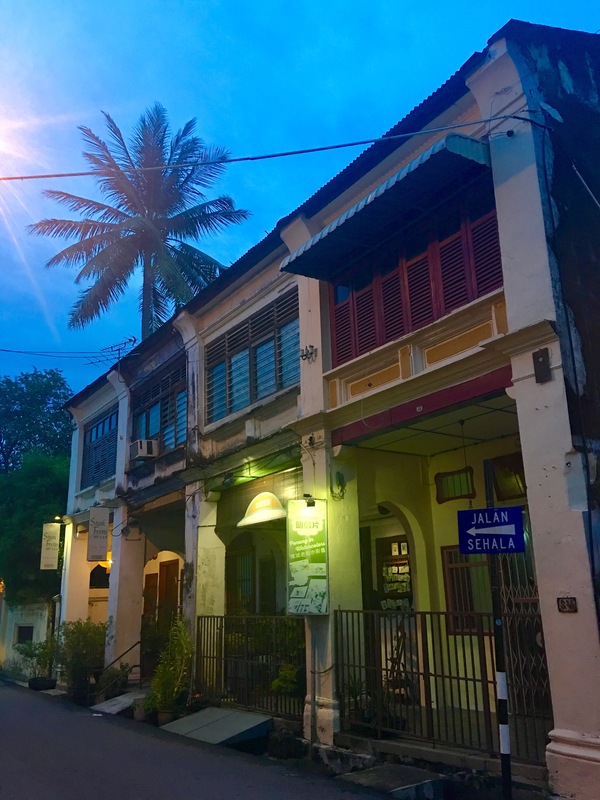 Some hotel operators have refurbished the old shop houses and turned these into boutique hotels. 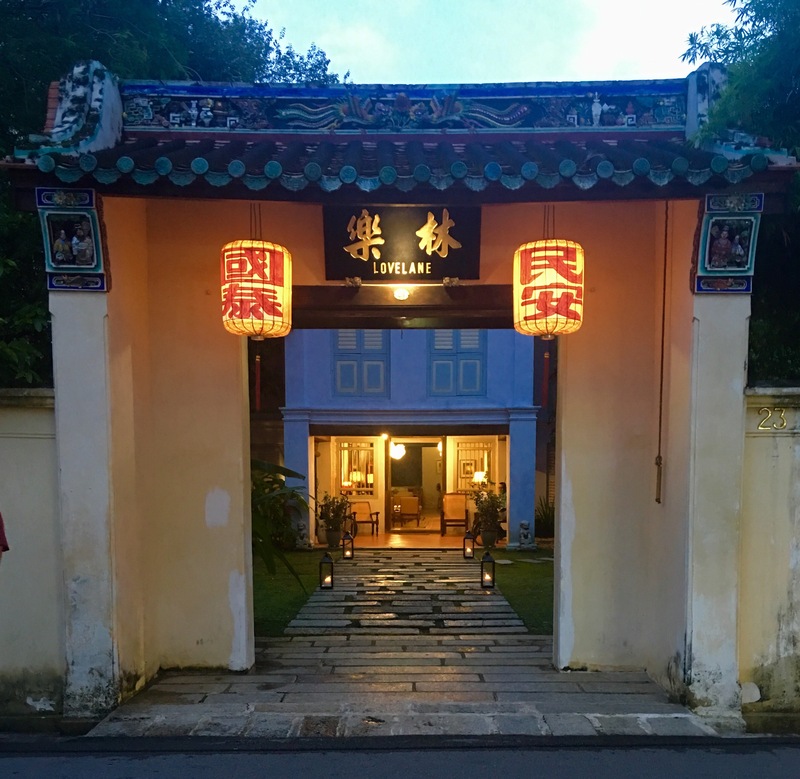 Others, carry on running the hotels pretty much how their forefathers may have run and managed it. 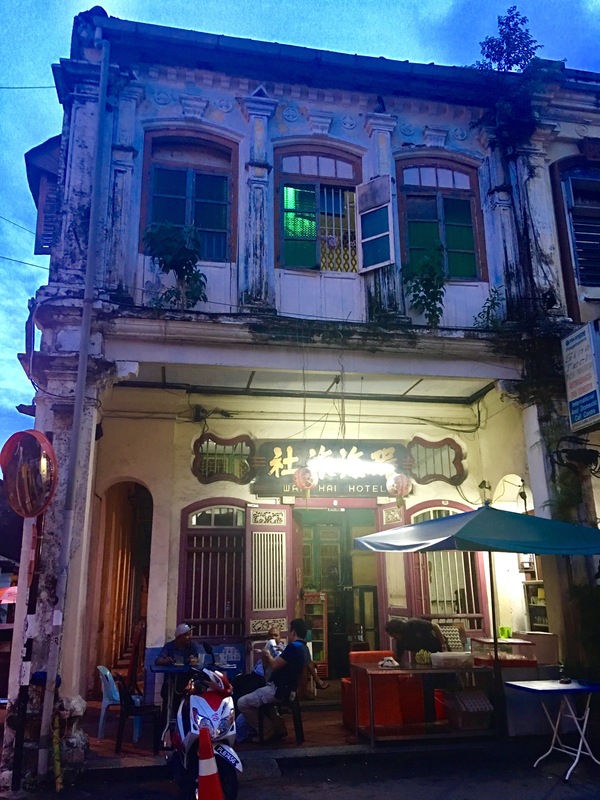 Some might call these dubious or shady accommodations but I feel that they seem to add to rustic feel in Love Lane. Would definitely recommend a walk down this lane to visitors. 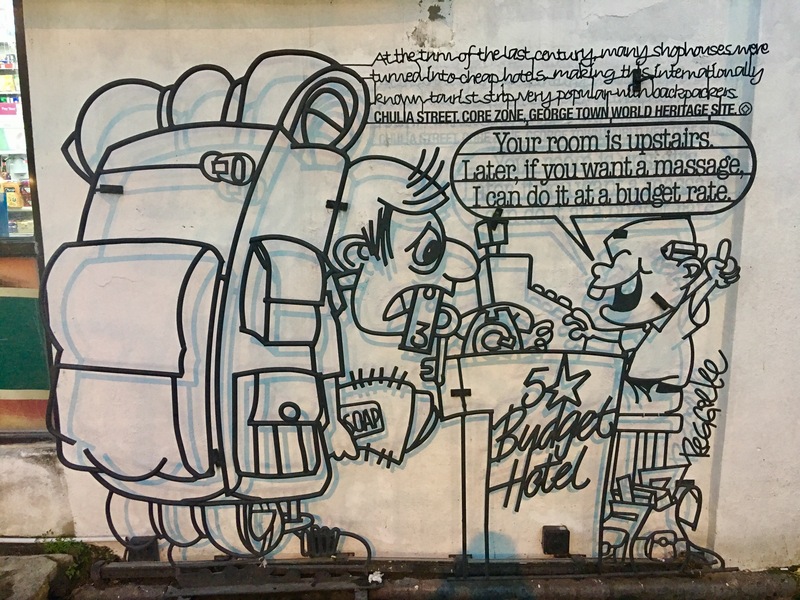 Pubs, bars & restaurants catering for back-packers in Love Lane. 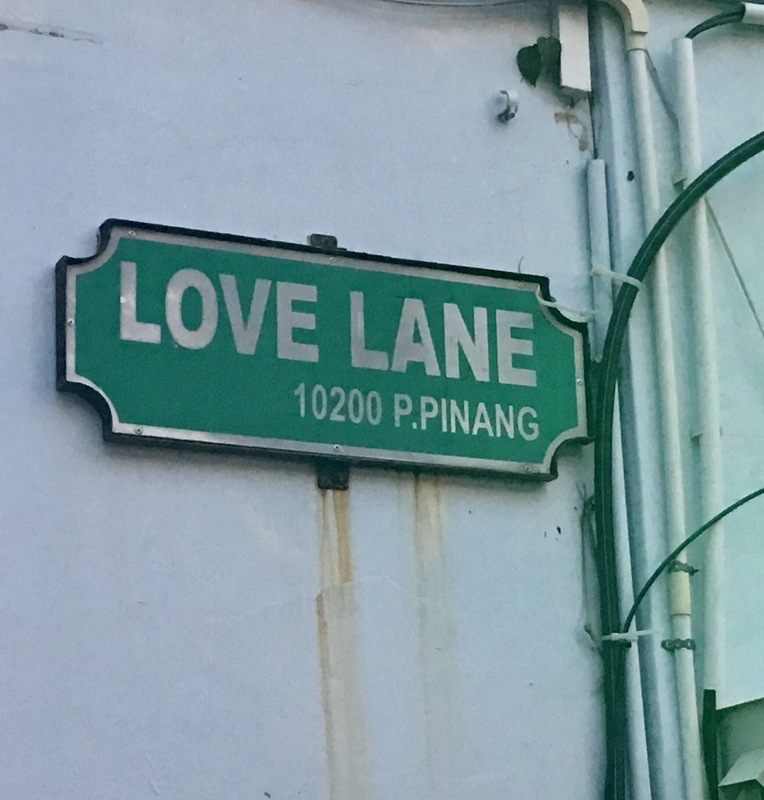 Love Lane has an interesting history. 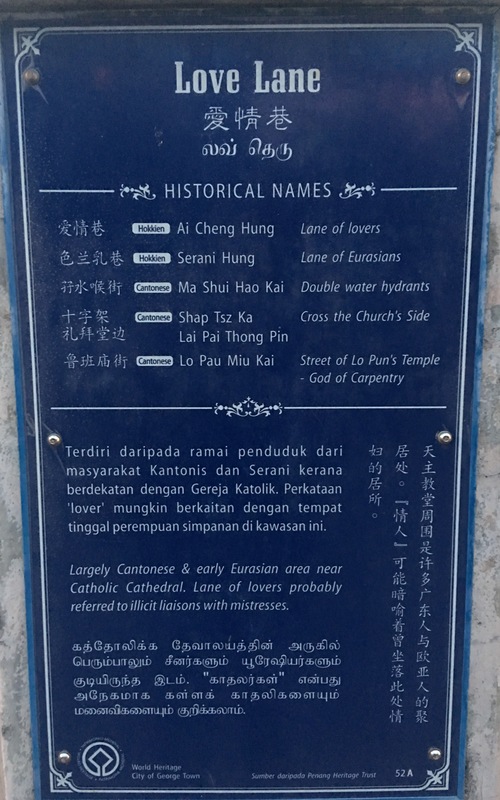 A plaque at the entrance of Love Lane beside the Church of the Assumption denotes historical references of the lane. 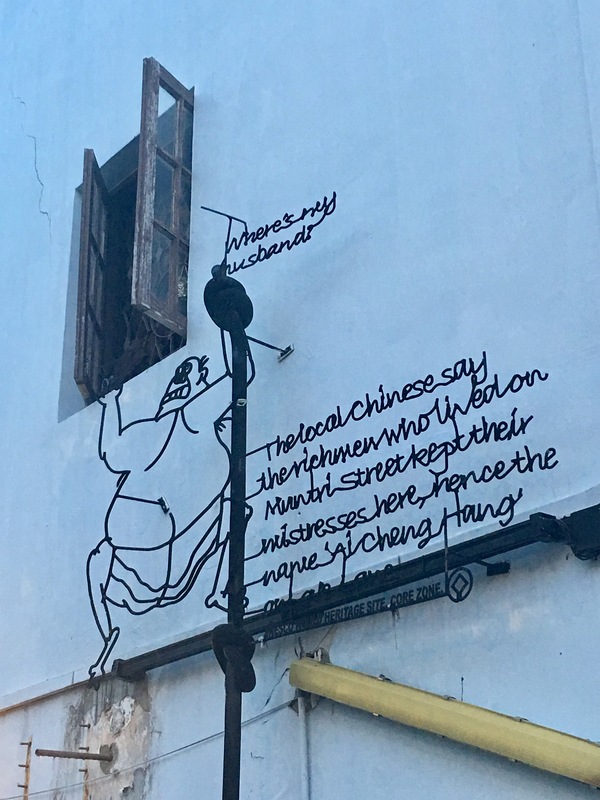 Occupied by early Eurasian and Cantonese settlers, it later car to be known as Love Lane by the local Chinese who claimed that wealthy Chinese merchants in the posh Muntri Street kept their mistresses in houses at Love Lane. 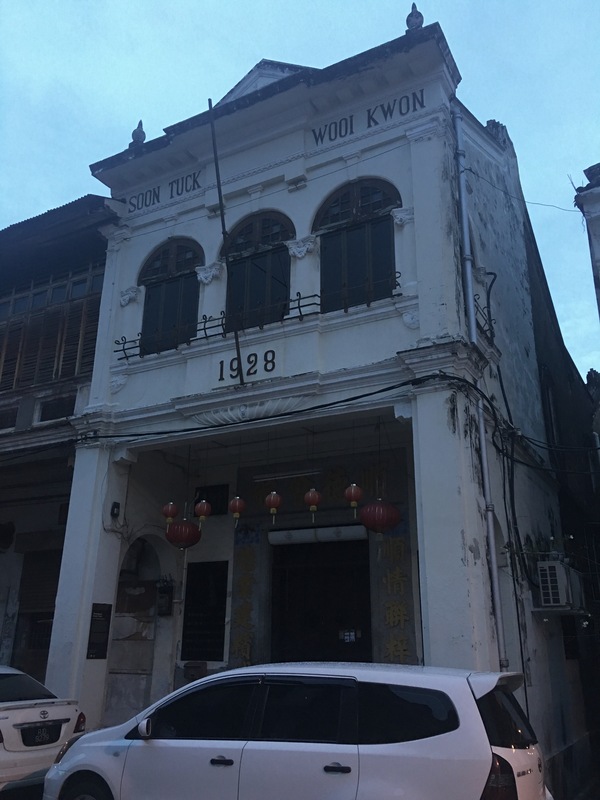 Love Lane is located in the Georgetown Heritage area, beside the Church of the Assumption, just opposite the Penang Court Building on one end, and Lebuh Carnavaron on the other end.